Our annual Open House will be held on Saturday, December 2, 2017 at 8:00 a.m. at the UA Mechanical Trades School at 8509 Ardwick Ardmore Road, Landover MD 20785. 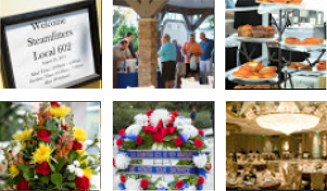 Please visit our website at www.Steamfitters-602.org. Click here for application information. Check here for a copy of the Sample math test. Local 602 1st Annual Christmas Party. Tuesday December 5th 3-5 pm. 8509 Ardwick-Ardmore Road Landover, MD 20785. All Members are Invited. We are asking that all who attend bring unwrapped gifts for donation to the “Toys for Tots” program. Click here for a Flyer. 7 PM Public Hearing: Dominion Cove Point LNG November 14th, 2017 Commissioners Meeting Room Charles County Government Building 200 Baltimore Street La Plata, Maryland 20646 We need your help to show support for the project and fill the meeting room. Maryland Public Service Commission Schedules Public Hearing for Dominion Energy Cove Point LNG CPCN Modification. Brothers and Sisters, We need you help to pack the hearing room to show our support for this application. Click here for details. 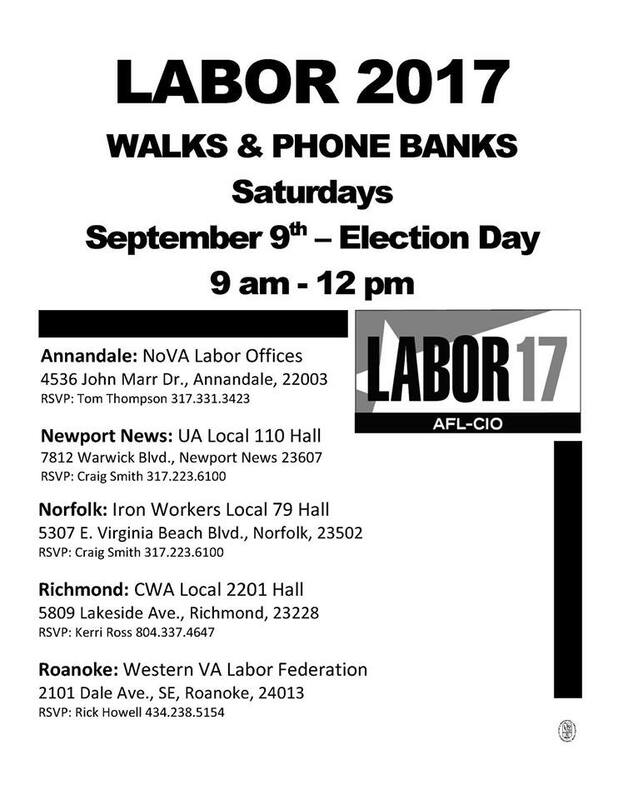 AFL-CIO Labor walks and phone banks. Click here for more details. We would like to take the time to congratulate the members of Local 602 who have reached their milestones in Service with the United Association. To view the complete list of this years awardees, please click on the event title above. We want to remind both the Members of Steamfitters Local 602 and our Signatory contractors of the language in Article XVI, Paragraph 80, which refers to the notification required when hiring a member thru solicitation and the requirement of obtaining a referral from the Union Hall, prior to beginning employment. Please click on the news title above "Attention Members and Contractors: Import Reminder" to view the specific language in that paragraph of the Collective Bargaining Agreement.